I was excited to read this debut and I’m so glad I was able to read it for this tour! I loved the mixture of fantasy and historical elements, and really enjoyed the resulting setting and story! Joanna Hathaway has instantly become a new favorite author, and I’m excited to see more of this series! At first I wasn’t sure how I felt about the characters, especially Aurelia, but as the story went on, I realized that her annoying behavior was necessary because she undergoes a large dose of growing up and her character growth was well done and I actually really liked reading about her in the last half! **Disclosure: I received an early e-copy of this book from the publisher for purposes of this blog tour. This review is voluntary on my part and reflects my honest rating and review. 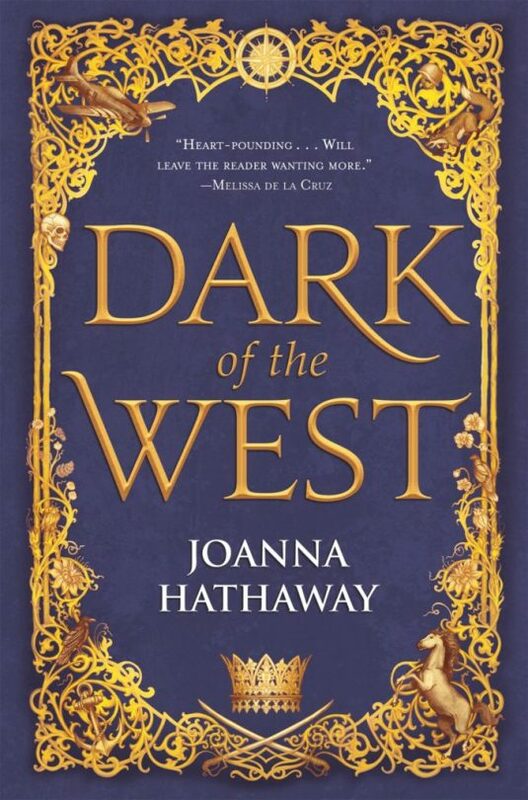 Ten (10) lucky winners will each receive a finished copy of Dark of the West by Joanna Hathaway! This one is US only and ends 18 February 2019. Enter via the Rafflecopter below, and good luck!